Recently retired. We have a new boat and trying to learn how to catch the illusive striped bass on a lake near my home in Alabama. Also, trying to interest my wife in becoming my fishing "buddy". This picture is one of five she caught on her first trip. 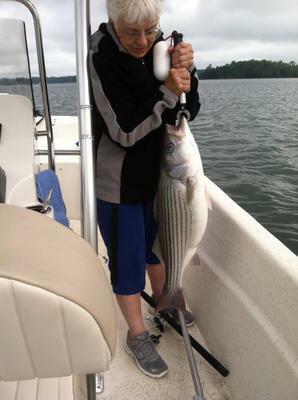 Comments for My Wife's First Striper Fishing Experience!